The floor is made of ceramic tiles . 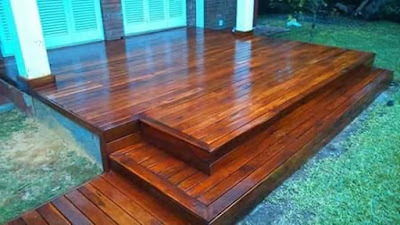 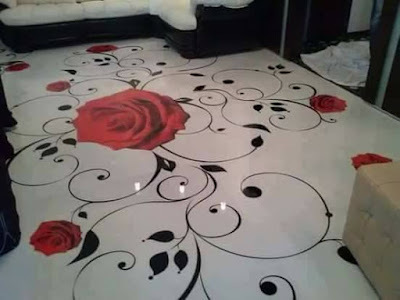 This material is best suited for the use in "harsh" conditions - easy to care for it and it is fine to withstand the prolonged exposure to moisture. 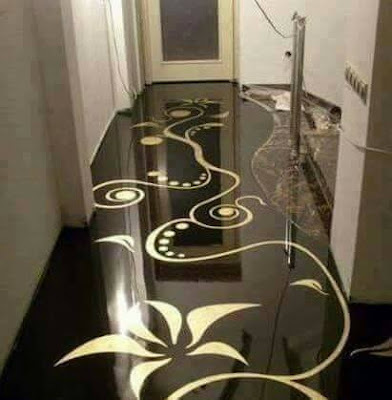 Recently, the internet has become completely obsessed with epoxy polymer flooring, and all the different ways designers and DIY-ers alike can use this product to breathe new life into otherwise drab rooms. 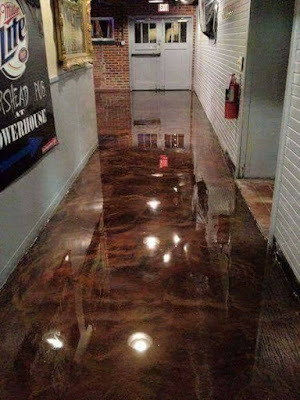 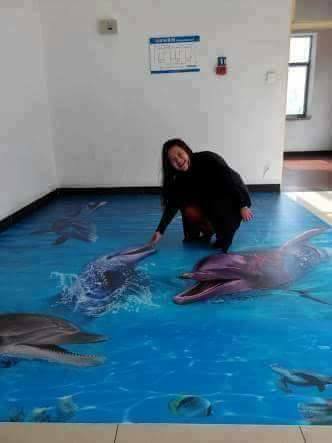 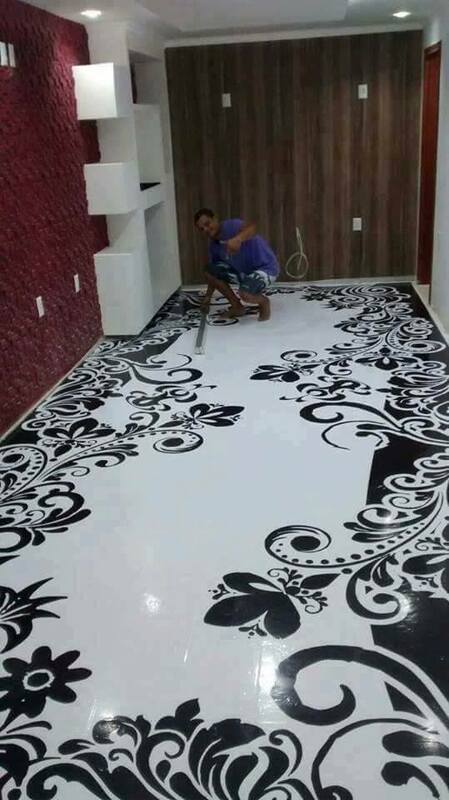 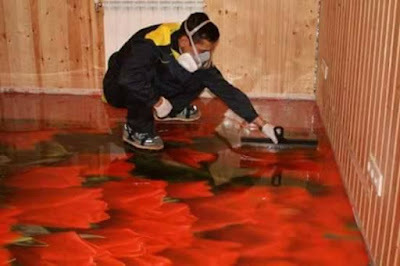 Whether you are adding epoxy polymer to raw cement to boost shine and dimension, or coating it over an amazing 3D floor, using this product allows your decorating imagination to truly run wild. 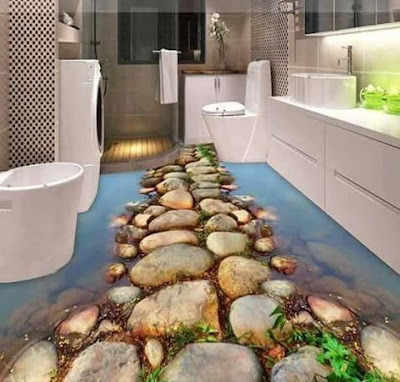 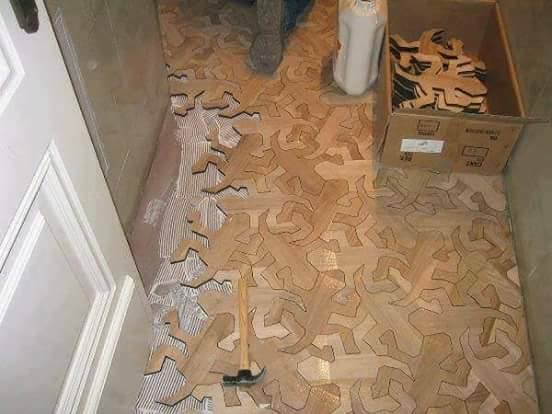 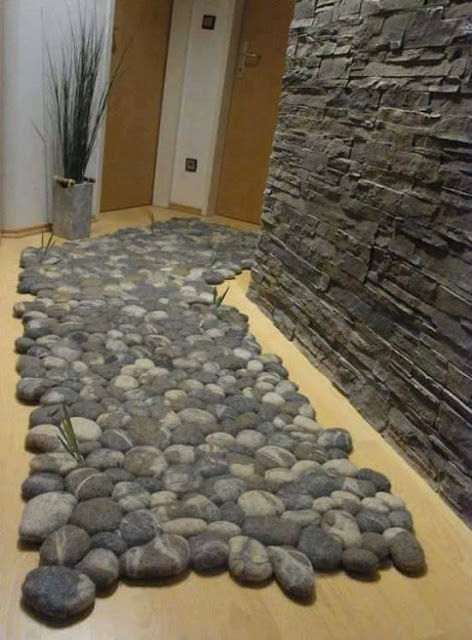 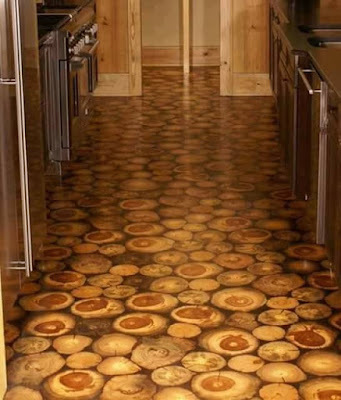 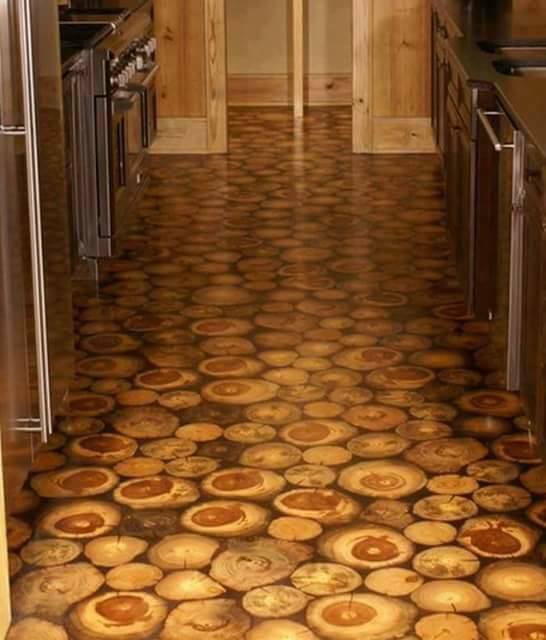 The 3D floor looks impressive and very unusual. 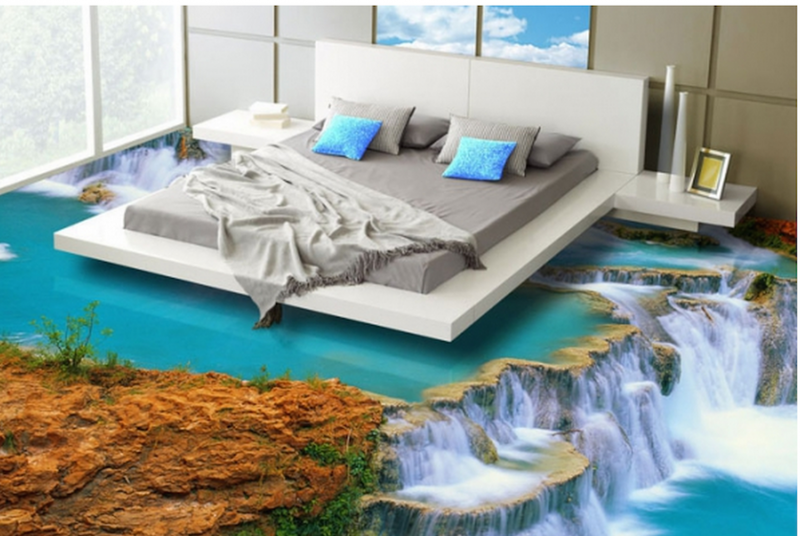 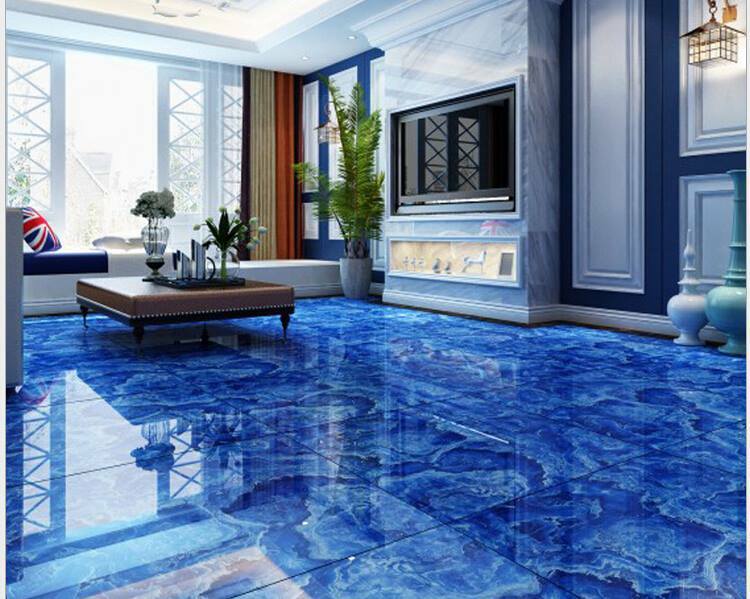 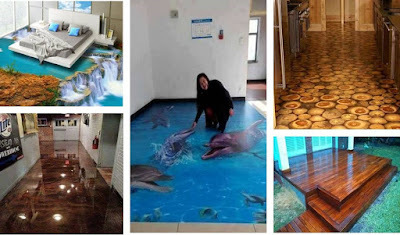 If before being home flooring technology, it is mainly used in the interiors of hotels, restaurants and luxury boutiques, now more than 90% of all orders fall on the 3D floor art in the apartments and suburban homes.